There are several things I need to talk to you about and I hope you will take time to listen. First of all, I would sincerely like to apologize to one of our very newest authors and additions to the WOTC, Kale Smith. I am sorry I did not take time to introduce Kale to you. Kale has offered to write for the WOTC on divination and other such topics. I have communicated with him numerous times, he is a wonderful person, very knowledgeable and I feel very honored to have him with us. He is also the founder of a new Pagan website, Apende Gran Magia. Please feel free to check out his site. He has some wonderful spells on it and as I mentioned he is just getting it started so please feel free to visit his site often and give him our support. Kale, please accept my apologizes for not making your introduction sooner but I think you know life around the WOTC has been rather hectic to say the least. Please welcome Kale to the staff and as a member of our family. I do feel sincerely sorry for not having introduce Kale sooner, I also have something else to apologize for, that is the sudden disappearance of Magickal Necessities. As you all know I was planning on closing the store on February 28. Unfortunately, that was not to be, the store was deleted yesterday. As for the orders that were placed, don’t worry I retrieved them from our PayPal account, they have been filled and now on their way to you. The reason the store disappeared before the time I said it would was because I found out that Wix’s would be charging us $60.00 on the 15th of this month for the store to stay open till the end of the month. I think most of you know me, know that I don’t believe in chancing good money after bad. So when I found this out, I promptly deleted the site. It has got to the point that Wix’s was charging us for everything. We could not get ahead for losing. We were charged for the search engine on the site, the cart on the site, the check out page on the site and even the member section on the site. They were nickeling and diming us to death. I had mentioned that Magickal Necessities would never again be revived and it won’t. During the past year, the reputation of the store has gone to hell. That is my fault. My fault for putting individuals over it I trusted and instead of doing the job they were suppose, they didn’t. Thus causing the store to start to earn a bad reputation. The WOTC has been on the internet for almost 20 years. During that time, we have earned one of the best reputation on the internet and one of the oldest Pagan sites on the net. We do not associate ourselves with anything or anyone that will ruin or tarnish our reputation. When I learned of the reputation Magickal Necessities was getting, I took it over. By that time, it was too late to save the store. When I saw it was impossible to turn it around, I decided to close it. As I said, the WOTC will not be associated with anything or anyone that might ruin the reputation that we have all worked so hard to earn. The individuals that were over the store have been let go and unfortunately due to Wix’s I had to close the store before the date I gave you. I sincerely apologize for that. As you know I told you Magickal Necessities would never be revived again and now you know why. But it is my full intentions to open up another store. Yes, I am a glutton for punishment I know. But this time things are going to be different. I am running the store myself. I will be solely responsible for all transactions conducted through the store and all the store’s operation. The store will open under The WOTC’s name. You all know how highly I value the reputation we have, this store will have the same values and principles that we have set for the WOTC. If it fails to uphold the values and principles the WOTC has, it will cease to exist. We are leaving Magickal Necessities behind and opening up a brand new store, one with the WOTC name on it. You can rest assure that I will solely operate the store and oversee all your purchases and transactions. I have negotiated with some new wholesalers and we will also offer new merchandise at lower prices. I have found that one person who was suppose to oversee the old store had marked the prices up and was pocketing the money. That person is now faces criminal charges. Some of the events that I have found out about while the store was open and running, I am ashamed of. I truly regret letting it stay open as long as it did. As you know my health during the past year hasn’t been the best so I had to depend on others to operate the store. I am now back to 100% if not better. I have learned from various employees of some of the events that occurred while Magickal Necessities was open and all I can say is I am truly, truly sorry. I had no idea of some of the events that occurred, if I had known the store would have long been gone before now. I can only ask that you have patience as we try to rebuild our new store and have trust in me. Trust me, that I will operate the store the way a store is suppose to be run. Provide you with reasonably priced merchandise, fast delivery and no hassle returns. I am asking for a second chance on a new store. A store that will bear the name “Witches of the Craft.” A store that will have the same values and standards that this site has always had over the years. I know most of you know me well enough to know how I value the reputation of this organization and myself. 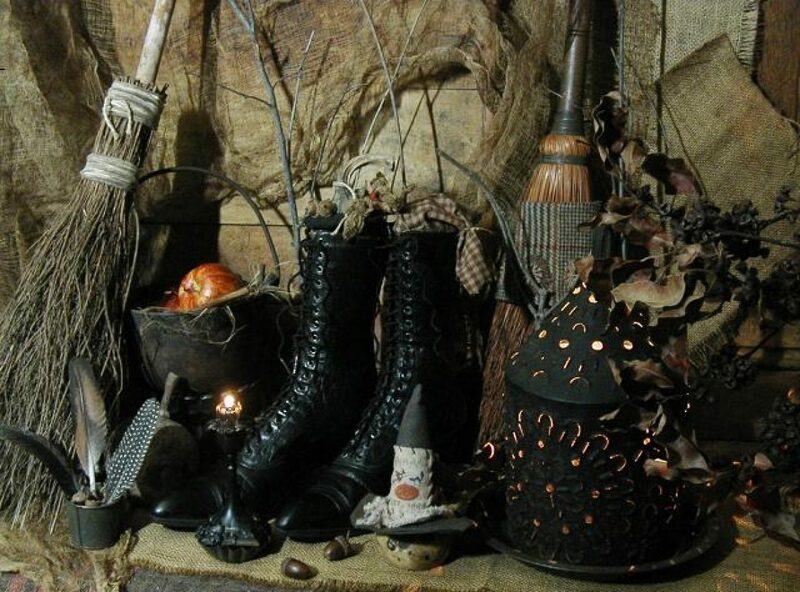 The new store, Witches of the Craft, will be operated by myself and if you will give me a chance and the new store a chance, I can guarantee you, you will not be disappointed. The last couple of months Magickal Necessities was open, I did more apologizing than I have ever had to do. I am tired of apologizing. I am tired of all of you having to listen to me apologize. You have my word and you know when I tell you something it is the truth, this new store will be honest, run properly and if I have a fatal illness, then it will close immediately. I will never, ever again trust a store or anything to do with the WOTC to be operated by anyone else besides myself. You have my word on that. So one more time, I beg you to forgive me and I ask that you give me and our new store a chance. Give me the opportunity to show you that a store with the WOTC’s name on it, can be the best damn store on the internet. I haven’t found a new site to build a store on yet when I do I will let you know. I have thought about seeing if I could work out a deal with WordPress to open it here, I don’t know I haven’t even approached them about that. But when I do find a new site for it, I will let you know. I do know it won’t be on Wix’s that is for sure. You now know why the store was closed so suddenly. I can’t believe any of you would blame me for doing so. Hell, all I would have been doing if I had paid them the $60.00, would have been padding their pockets instead of ours. I honestly wish I could just wipe Magickal Necessities from all of our memories. But I can’t do that. I can only hope that you will take me at my word, once again and trust me. I want the members of the WOTC to have a store so they can obtain their ritual items and needs easily. 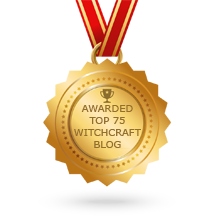 It has always been one of the main objectives of the WOTC to meet the needs of the Pagan community. I know the store was a big help to lots of our members and I can tell you it absolutely killed me to delete it. But it was also very painful to find out some of the things that had gone on in my absence. I guess the old saying, “when the cat’s away, the mice will play,” holds true. Because these mice, no excuse me, rats, ruined a very good thing. I am now to the point that I trust no one except myself and that is pretty darn bad. But if you want it done right, you have to do it yourself. So when the new store does open, it will be run by me and it will be run right. You have my word on that and you know I am good for my word. I can never apologize enough to all of you. I would like for you to find it in your heart to give a new store and myself a second chance. When the store first started out, it did prove the WOTC with a financial income that helped us with our operations. It was not only a benefit to us but also a benefit to you as well. I can never take back what has happened but I can do my damnest to try to make things right this time. I feel like I have let all of you down but I could not help my health issues. The last year has been a disaster, I plan on changing that around for all of us. I plan on starting fresh and all over again. I ask that you join me in turning over a new leaf and taking a leap of faith with me one more time.